Blogmaster, content expert and marketing guru at Wagepoint. Michelle is having fun (seriously I am) extolling the virtues of small business payroll and generating articles with actionable advice for small businesses and startups. Michelle probably needs to get out a little more often. 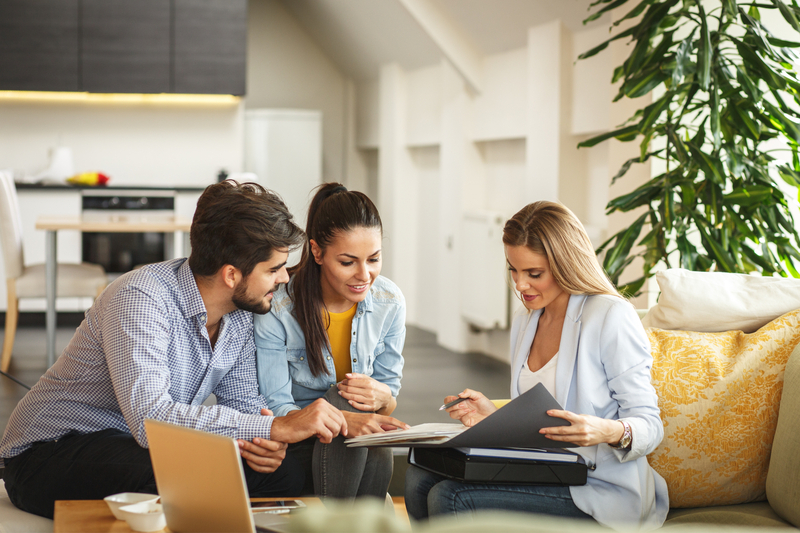 Business owners who regularly operate their businesses in their home can deduct some of their expenses and save money on their taxes, granted they keep careful records and meet the IRS’s requirements. 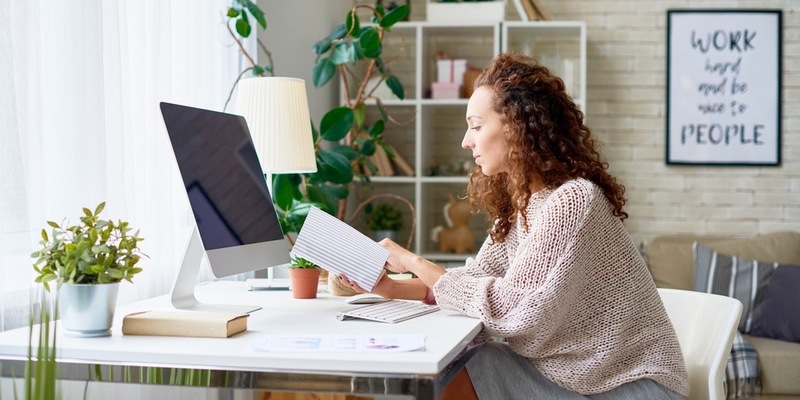 There are two methods to claiming home office deductions: A simplified method that allows you to write off up to $1,500 annually, and a more in-depth approach for home-based businesses that are large and complex. Today there are lots of ways to make money working from home. 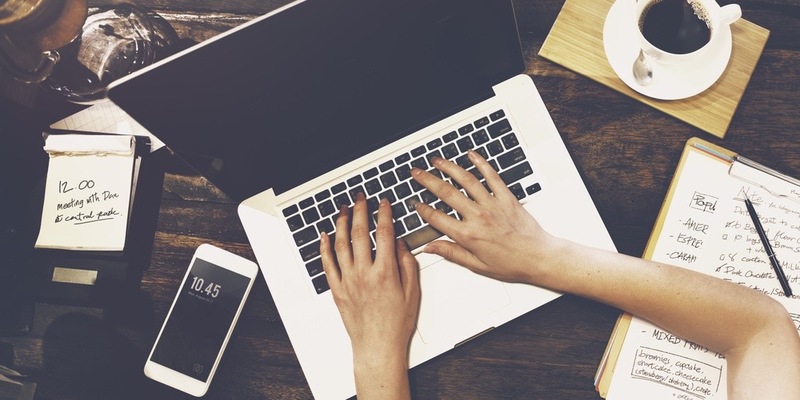 Many small business owners operate out of their home and increasing numbers of workers are opting to freelance full-time, and others choose to take jobs that allow them to work remotely, rather than commute into an office every day. Even employers that operate office space are more amenable to letting their employees work from home from time to time. All of which is to say that working from home—and claiming a home office deduction—is more common now than it ever has been before. Can You Claim Home Office Deductions? In order to be eligible for a home office deduction, the space you’re using for your business must only be used for your business. This can be the hardest qualifier to meet, and the IRS is pretty serious about it. Say you use a separate room or multiple rooms in your house as your office for 40 hours of the work week. If you only use that part of your house for business, you’re in the clear. But if your significant other comes into the space to use your desk for a few hours out of that week, your exclusivity eligibility goes out the door. While the IRS can be very strict when it comes to this eligibility requirement, they do use a common rule of thumb: You’ll generally meet the exclusivity requirement if personal activities take place in your home office just as much as they would in a regular, communal office. This means that the occasional personal phone call in your business’s home office is fine. If you meet the exclusivity requirement, odds are you’ll meet the regularity home office deduction requirement for your business taxes. There is no specific rule set to how regularly you use the space, but if you use the space at least a few hours a day, you’ll probably be fine. If you’re really not in space that much each week, you probably won’t qualify. There are two exceptions to the exclusivity rule. The first exception is if you run a daycare or elderly care center in your home. For example, if, as part of your business, you have children in your home from 8 a.m. to 4 p.m. every day, but make use of the space for personal activities from 4 p.m. on, you can still claim a home office deduction (granted you’ve met your state’s licensing requirements). The second exception is for business owners who dedicate a portion of their home to store their business’s inventory or products. The next requirement for a home office deduction is pretty simple. While your home office doesn’t have to be the only place you do business, it does have to be your principal place of business, aka the primary place you do business—meaning you bill customers, perform regular administrative tasks, or keep books in your home office. This also could mean that your home office is where you regularly meet clients and customers. There are two ways to claim home office deductions: The simplified square foot calculation or the actual expense deduction. The simplified method lives up to its name. All you have to do is multiply the square footage of your home office by $5. The catch is that the maximum amount you can write off is $1,500. If you’re just starting out or using your office for a side hustle, this might be the right method for you. If your home office expenses are more than $1,500, you’ll want to use Form 8829. To apply this method, calculate percentages of the various expenses you want to claim. This is likely a better option for more mature or complex home businesses. As part of this process, expenses are classified as direct or indirect. Direct expenses are the expenses that are clearly and definitively tied to the space that you use as a home office. Examples include completed painting projects or renovations that were exclusively done for your home office. You may claim 100% of direct expenses. Indirect expenses are costs related to the home or property that houses your home office. These include things like utilities and mortgage or rent payments. You may only claim a percentage of indirect expenses, which is the total square footage of your home divided by the square footage of your home office. One limit to the regular method is that you can’t claim more on a home business tax deduction than you earned while working in your home office. Your claim must be proportional to the time you spend working in your home office. Which Is Better—the Simplified or Regular Method? The Size of Your Home Office: If your office is 300 square feet or less, the simplified method is likely best. But if you’ve got a bigger office, you could get a larger deduction using the regular method. Know that there’s no limit to the size of home office using Form 8829. Mortgage and Rental Rates: If you live in an area where the cost of rent or homeownership is traditionally high, you might be able to get a larger deduction using the regular method. Home Depreciation: For the simplified method, you can’t deduct depreciation. Real estate taxes and the interest on your mortgage can be claimed using Schedule A. If your home has depreciated, you may want to consider using Form 8829. And if you ever sell your home at a profit, this deduction will be taken into consideration in calculating your resulting tax liabilities. How Much you Like Filling out Forms. The form for the simplified method has six lines within a Schedule C. Compare that to that Form 8829, which has 43 lines to complete. When you use Form 8829, it must accompany your Schedule C when you complete your filing. The best way to know which method to use is to run the numbers. Add up your home office expenses. If they’re more than $1,500, consider using the regular method. If not, use the simplified method. As your business grows and your calculations become more complicated, tools like QuickBooks, QuickBooks Online, or QuickBooks Self-Employed can help you streamline your financial processes (and record keeping). If you’re not one for mainstream solutions, there are also many other tools available like Xero or Sage, for example. Finding yourself a trusted accountant or bookkeeper can also be invaluable. As many firms switch to the cloud, they can suggest a primary small business accounting software and a range of key apps for functions like time tracking, data entry, payables and receivables, and payroll. The better your tools and processes, the more you’ll be able to maximize your deductions. If your employer allows you to work from home or you’re a remote worker, you may also claim a home office deduction. But if you’re a full-time remote worker, this is a bit easier to prove. If you only work a few days a week from home, it’s harder to substantiate. The standard for someone who’s allowed to work from home part of the time is if the home office is maintained for the convenience of the employer. Essentially, it means that this home office is necessary for the employer’s business to function and for the employee to fulfill their responsibilities. For example, an employee needing to perform their duties during off-hours when the office is closed could qualify. Documentary evidence is as simple as getting a letter from your employer confirming the need for you to work at home. Note that you won’t be able to qualify if you choose to work from home from time to time because it is more convenient than commuting into the office. It also doesn’t count if you like to take your work home with you at the end of the day. If you don’t qualify but you regularly use your home office for work, try to get your employer to reimburse you for some of your expenses. In all of this, it’s important to note how the IRS defines a home office. The two key concepts are regular and exclusive use. Regular means that you must routinely use this portion of your home for business. Exclusivity is a bit less tangible. In essence, it implies that the area where you work must be identifiable as a space used exclusively for business. A home office doesn’t have to be a room within your home. It can also be a garage or outbuilding like a studio or shed. Need to know more about claiming home office deductions? Here are some frequently asked questions about this small business tax deduction. 1. Am I Locked in Once I Pick a Method? No, you are not. You may use either method in a given filing year. If the simplified works better one year, use it. If regular works better the next, it’s your call. The only restriction is that you can’t use both methods in the same filing year. It has to be one or the other. 2. Am I More Likely to Get Audited When I Claim a Home Office Deduction? The risk is likely no larger than for any other type of deduction you claim. Studies have shown that there’s no conclusive evidence of a greater risk. But, if you do a quick search, you see a lot of concerning headlines. In the end, if you’ve been honest (which you absolutely should be) and kept good records, you don’t have much to fear from an IRS audit anyhow. 3. What If I Don’t Fit the Textbook Definition of Home Office? On a general level, caregiving is a yes and rental or hospitality use is a no. If you run licensed home daycare or provide elder care, you may take the home office deduction using either method. On the other hand, any expenses related to any space in your home that you use as a hotel, motel, inn, or similar business do not fall under the home office deduction. Every industry has its own nuances within the tax code. And the traditional office isn’t so traditional anymore. The best thing to do is to learn as much as possible. If you don’t know, look it up. If it’s unclear, ask a tax advisor. Start by seeing what the IRS has to say in Publication 587—Business Use of Your Home (Including Use by Day-Care Providers). Disclaimer: This article is intended to be informational. It does not replace the expertise of accredited business professionals.